Every year, the volume of electronic data that humanity generates globally is increasing. In this ocean of information, it is important to respond to new challenges and offer up-to-date protection of your data and business records and information. IT.Support works with leading software developers and keeps track of recent IT trends. IT.Support will help you organize and prioritize the most important items in your content and provide you with effective ways to copy, archive, store, share, and track critical business data. Protecting and storing information is critical to any organization and company, and we are aware of the importance of company security in the IT industry. Submit an express request for your case now! Security software ensures safe storage of your confidential data. Regardless of your preferred backup option (hard drives, online or on tape drives), IT.Support will help you protect confidential business data against accidental loss, server or hard drive crash, hardware failure, human or software error, malicious interference or theft. Services aimed at providing careful and detailed control of access to network facilities. This includes, but is not limited to, individual endpoint protection. All IT.Support network security products and services ensure the security of your data and provide reliable, continuous monitoring.  We offer you a simple and efficient method characterized by a high level of data protection to transfer your daily routine and urgent support to your computers, networks and servers in the hands of IT.Support professionals. Remote File Protection and File Management is an established practice in the IT sector, and outsourcing support ensures optimal security, improved performance, instant response and peace of mind at extremely attractive rates. Smart phones, notebooks, iPad and mobile internet are already an active part of everyday business in every office. To be completely sure about the safety of data traffic over the Internet via mobile devices, we at IT.Support offer innovative, state-of-the-art maintenance and Internet safety solutions anywhere, anytime.